Enjoy the top 29 famous quotes, sayings and quotations by Maria Bello. I was always anti-marriage. I didn't understand monogamy. I couldn't figure out how that could last. And then I met Bryn and I started to understand the beauty of constancy and history and change and going on the roller coaster with someone - of having a partner in life. I'm a girl who loves fashion. I'm such a Cinderella - I love to put on a great dress and heels. It's fun! When I do Pilates, or when I do work out, I feel better all day. Yet I still struggle to keep it on my schedule. I remember listening to 'Maniac' and running around and thinking I'm going to be somebody someday. I was really conflicted. I had always planned to help the world. Instead, I was going to become an actress? That seemed like such a selfish thing to do. I think a lot of people become actors because they have a great reservoir and repertoire of many different emotions they felt over their lives. It's like having a toolbox, and you go down into the toolbox and choose one or two of those that you need for a particular scenario, or something that comes up in a line. I just have a gut feeling about something, if I really want to do it, if I'm excited about it, if I want to explore it. And that goes across all different sorts of genres. 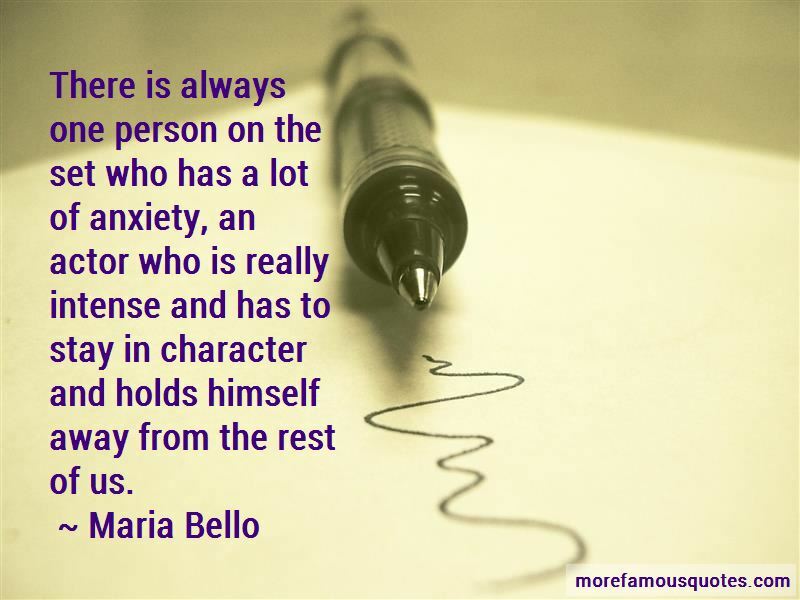 Want to see more pictures of Maria Bello quotes? 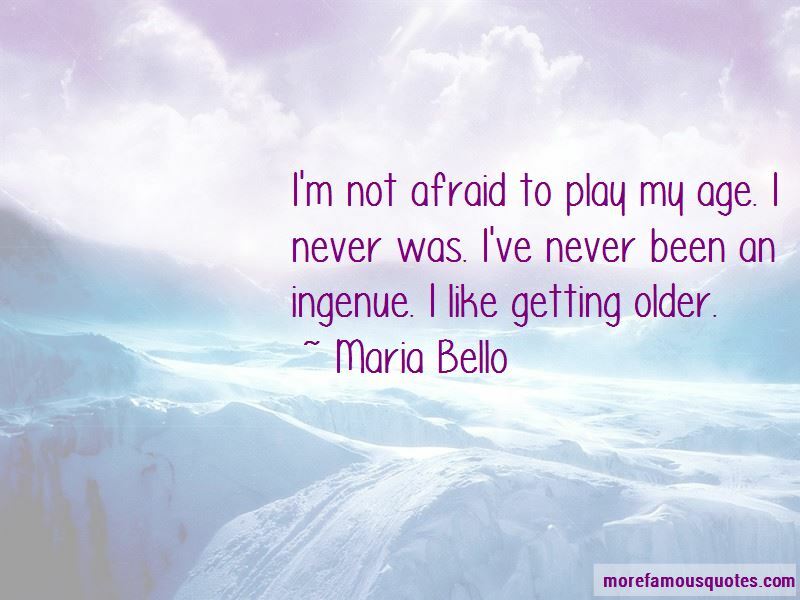 Click on image of Maria Bello quotes to view full size.